Is the air that you breathe in daily, destructive? Surprisingly, most of our exposure to pollutants occurs inside. According	to a statistic, the air in our homes, businesses, and schools can be two	to five times more polluted than outdoor air. Our technicians at	Alaska HVACR can inspect your HVAC system and determine if the air quality in your	home or business is healthy. Poor air quality can be attributed to chemicals, mold, particles, and poor	ventilation. When the health of your family or employees is on the line,	we know you want your building to have the best air quality. Ensuring your loved ones and associates are comfortable and safe! Now that you know what stands in the way of good indoor air quality, how	can you ensure these problems are eliminated? At Alaska HVACR, we are	proud to supply you with the level of indoor air quality their loved ones	deserve. 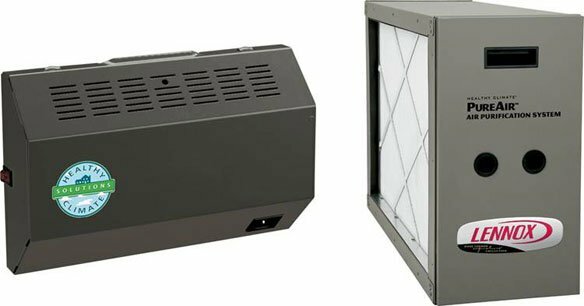 We can improve your building’s air quality by installing	air purifiers, humidifiers, or dehumidifiers as needed. In addition, we	are also extremely skilled when it comes to designing, installing, and	cleaning ducts. For more information about how we can help improve your home or business’	indoor air quality, do not hesitate to speak with a member of our team today. Contact our Oakland office at (510) 261-9202, or our San Francisco office at (415)	861-6274, or our Concord/Walnut Creek office at (925) 686-2086.